Have you ever wondered what scripture says about our emotions? 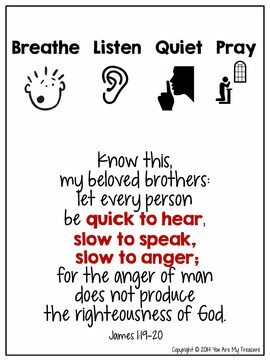 Does God’s Word tell us what to do when we are angry, anxious, scared, sad or happy? Absolutely! Many adults give testimonies that their parents were very good at telling them what "not to do" but did not get much guidance on what "to do" when emotions rose up in them. 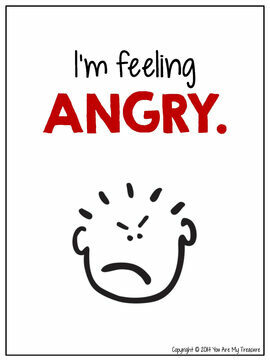 Strong feelings such as anger and fear can be quite scary to a young child. What a gift it would be if we taught our children about these emotions and gave them strategies on how to handle them. What a blessing it would be to know what God says about these emotions! Even more...wouldn’t it be wonderful to be taught from a very young age that we can run to The ROCK* when emotions rise up in us and we don’t know what to do with them? • On the back of the card there is a scripture from God’s Word along with icons across the top to help the child process the feeling/emotion. We pray that these cards will help you and your child work through feelings of anger, fear, sadness, anxiety and happiness in a simple yet biblical way. 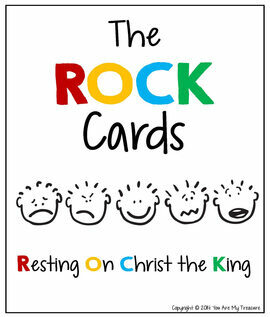 *ROCK stands for Resting On Christ the King. 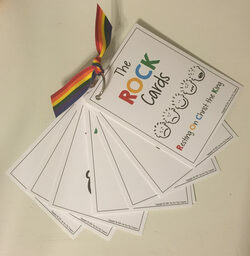 The ROCK is a prayer area that is set up for the child in the home or classroom. It is our hope that children will learn to run to The ROCK for all of their needs. Adjust quantities in your shopping cart. Please make a note of your pick up location.